Durham, N.C., USA – May 24, 2012 – Funcom, a world-leading independent developer of online games, is thrilled to announce that it is working closely with NVIDIA for Funcom’s upcoming modern-day massively multiplayer online game ‘The Secret World’. Funcom’s and NVIDIA’s engineering teams have been working together to make ‘The Secret World’ the most graphically advanced massively multiplayer online game ever to launch on the PC platform. ‘The Secret World’ will feature several cutting-edge DirectX 11 features, such as ground and object tessellation, which makes flat textures appear three-dimensional, thus bringing ordinary objects and surfaces to extraordinarily detailed life. ‘The Secret World’ will also feature full support for NVIDIA 3D Vision® technology for further gaming immersion and increased performance for gamers running dual-GPU configurations utilizing NVIDIA SLI® technology. NVIDIA will also be launching its online “GPU Analyzer” tool specifically for ‘The Secret World’, which will allow gamers to quickly test their gaming rigs and confirm they have the right hardware for the best possible gaming experience. Funcom and NVIDIA are collaborating on additional virtual events, such as an upcoming Beta Weekend that will potentially allow every registered NVIDIA customer to try out ‘The Secret World’ before launch. With promotion across the NVIDIA.com website, social media channels, newsletters, YouTube and more, Funcom is expecting coverage of the game to exceed more than 100 million impressions. ‘The Secret World’ is developed by Funcom and co-published by EA Partners, a division of Electronic Arts Inc. (NASDAQ: EA), and is consistently mentioned as one of the most anticipated MMOs in development. Funcom has previously reported that over 1,000,000 gamers are registered for the ongoing beta test for ‘The Secret World’. For more information about the game or how to register for the beta, please visit www.thesecretworld.com . Media assets can be found at ftp.funcom.com/press . One of the first AR video games, being shown on a new handheld system from NVidia. Looks like Nvidia is prepping itself to roll out its first GeForce 9 series graphics chip known as the GeForce 9600 GT on February 21st. The 9600 GT adopts a 65nm process and is manufactured by Taiwan Semiconductor Manufacturing Company (TSMC). The GPU sees an increase in processing units, 64, and memory bus width, 256-bit, over previous 8600 GTS cards, 32 and 128-bit. The GPU’s performance should see an increase of over 40% compared to the 8600 GTS, said the sources. The new GPU also introduces Dual-Streaming Decode technology which allows two high-definition image decoding processes to be performed at the same time and provides picture in picture (PIP) functionality. Thankfully, you won’t have to fork out so much for this sweet spot graphics card as it will retail between $169 and $189. 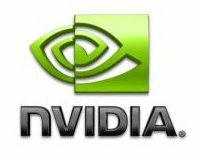 NVIDIA are set to acquire Ageia Technologies, creator of PhysX, bringing acceleration of the technology to their GPU product line. Ageia’s Manju Hegde chipped in with love for his company’s new owners with a quip about how NVIDIA are the “thought leader in GPUs and gaming”, and that Ageia and NVIDIA are bound by a common goal to increase the innovation and drive the consumer experience. More from JHH can be found in the NVIDIA press release. Word from inside NVIDIA is that discrete PhysX hardware will continue to be developed after the acquisition, and that we should see at least one more specific PhysX accelerator chip released. More news on that as we get it. The video game industry is one truly huge juggernaut that does not seem to show any signs of slowing down anytime soon. With games that usher in a new era of cinematic realism, it goes without saying that these titles require unprecedented computing and graphical power. NVIDIA has heard this clarion call for many years now, and has decided that high quality gaming should not be confined to just desktop units but the same experience ought to be made available to those who live out of a suitcase, in particular gamers who tend to spend more time with their notebooks than desktops. This need will be filled with NVIDIA’s latest GeForce 8800M notebook GPUs that will soon be made available for order from notebook manufacturers. Notebooks that carry these new GPUs from NVIDIA will soon be available for order, with makers such as Alienware, Eurocom, Gateway, and Sager in North America; AIRIS, Chiligreen, Cizmo, Cybersystem, Ergo, Nexoc, Novatech, Plaisio, Rock, and XXODD in Europe; MouseComputer in Japan; and Pioneer Computers in Australia all ready to meet the challenge of including gaming power into a portable package. Needless to say, they won’t be exactly cheap to begin with, but then again there’s a price to pay for everything. 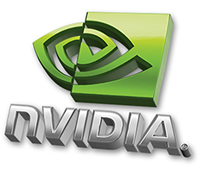 NVIDIA has released new ForceWare drivers for cards that use their new GeForce 8800 graphics chips. 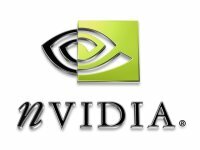 The new 97.92 version of the drivers can be downloaded at NVIDIA’s web site and fixes issues in games like Splinter Cell: Double Agent, Halo, and Elder Scrolls IV: Oblivion. This is just for the 8800 chip; no other NVIDIA cards support this driver release.